London Contract Services have been conducting building maintenance, property development and property refurbishment contracts for many years, working on a huge variety of domestic and commercial projects in London, Kent and throughout the South East. We are proud to have always delivered the highest quality standards in flat maintenance, grounds maintenance and general property management services. Below you can see a list of some of our commercial clients. "We, Stuart Edwards Fullermoon, are the managing agents of numerous properties in and around the Croydon area. We can fully recommend London Contract Services Ltd for future contract cleaning work. They routinely carry out internal cleaning of our communal areas and garden maintenance duties to several blocks of flats and other properties we manage, all to the complete satisfaction of us and the residents. We have found their property maintenance specialists most accommodating when dealing with clients directly on site and when issued additional duties." "We have employed London Contract Services Ltd for approximately 15 years at many different types of property. We carry out frequent site inspections; their work has always been of a high standard and in accordance with the necessary specifications of health and safety legislation and of our respective companies. Their contract cleaners, property maintainers, gardeners and in fact all employees are always thoroughly polite, responsive and willing to carry out our requests. They have proved organised, capable and dependable and we have no hesitation in recommending their services to potential clients." "London Contract Services have worked for our client for more than 8 years, undertaking both contract cleaning and professional gardening work. We have found them to be both conscientious and flexible in the property and grounds maintenance work they undertake and we have been very satisfied with the service provided." 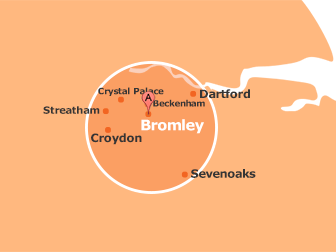 "As a company of property management agents for approximately 54 estates in the Sutton and Croydon areas, we have employed London Contract Services to carry out communal area cleaning on a regular basis. They have also carried out deep cleaning of our carpets and various other floor surfaces in our flats and other property developments exactly when required, especially for new builds prior to occupation. They have been not only efficient but have always alerted us to any maintenance problems which may not have been reported to us by residents, i.e. lighting defects, fly tipping etc. All these aspects of surveying and maintenance work are invaluable in assisting in the management of our properties. We therefore have no hesitation in recommending this company to you." "London Contract Services have always provided an excellent service to my property developments in Kent over the past 15 years. As a property manager based in Hertfordshire and managing a broad portfolio of properties across Kent, I can only use good, reliable maintenance and cleaning contractors who provide only the best level of customer service. I’m kept in contact on a regular basis and maintenance jobs are always completed on time. I would recommend London Contracts to any managing/letting agent in the Kent area." "Over the many years, they have looked after our estate, we have received very good service and courtesy from their property management team and flat maintenance staff. Requests to carry out additional painting, decorating and contract cleaning work have been handled promptly and we have no hesitation in recommending them to building management companies or private developments like ours who require an efficient and friendly service." "I was surprised to get a reply to my e-mail last night, but even more surprised, [pleasantly, I may add], to be awakened by a happy Jean, telling me the gardeners were here.....8am! Thank you and can you pass my sincere thanks on to Mark, who I am told was on the phone late last night, responding to this situation. I spoke to Paul, who is an excellent chap and I feel personally that all garden and surrounding grounds maintenance issues have now been addressed and dealt with fully. If only the country was run along the same lines as yours, we would be in a much better place. Anyway...once again, thank you so much for sorting this out so quickly."